In a small parcel in the district of Graves, Bordeaux, is a wine region that is unmatched in the world. Sauternes produces an unfortified white wine that is world famous, and rightly so. Common grape varietals are Semillon, Sauvignon Blanc and Muscadelle. But it is the terroir of this region that produces these amazing wines. Located on the left bank of the Gironne river, it allows for the perfect combination of circumstances to produce noble rot. 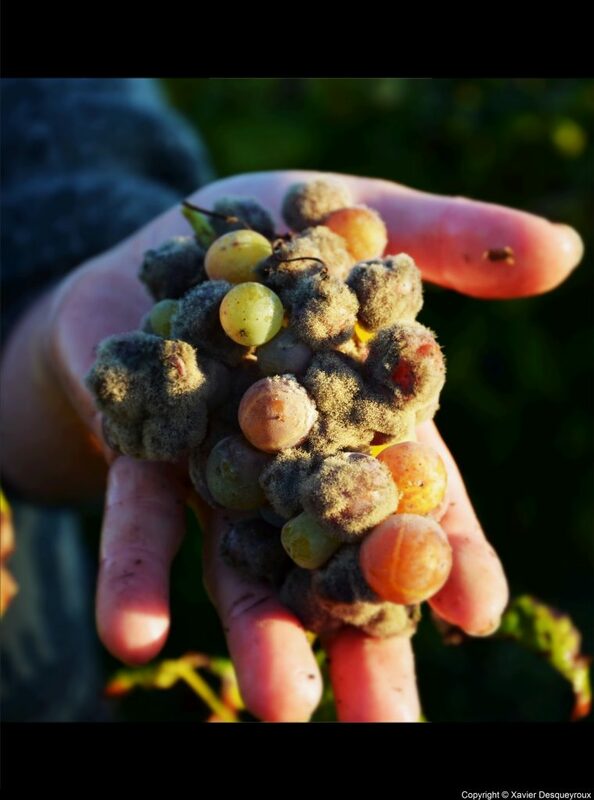 Noble rot is the name of the botrytis fungus that attacks the ripe, undamaged white wine grapes. In the autumn the cool spring fed waters of the Ciron river feed into the Giron, which causes evening mists – that activate the botrytis spores. In the morning, the sun burns the mist off, restraining the fungus production. The result is a beautiful, complex wine that is truly under appreciated. The wines are voluptuous, elegant and have the ability to age for 50 years or more. 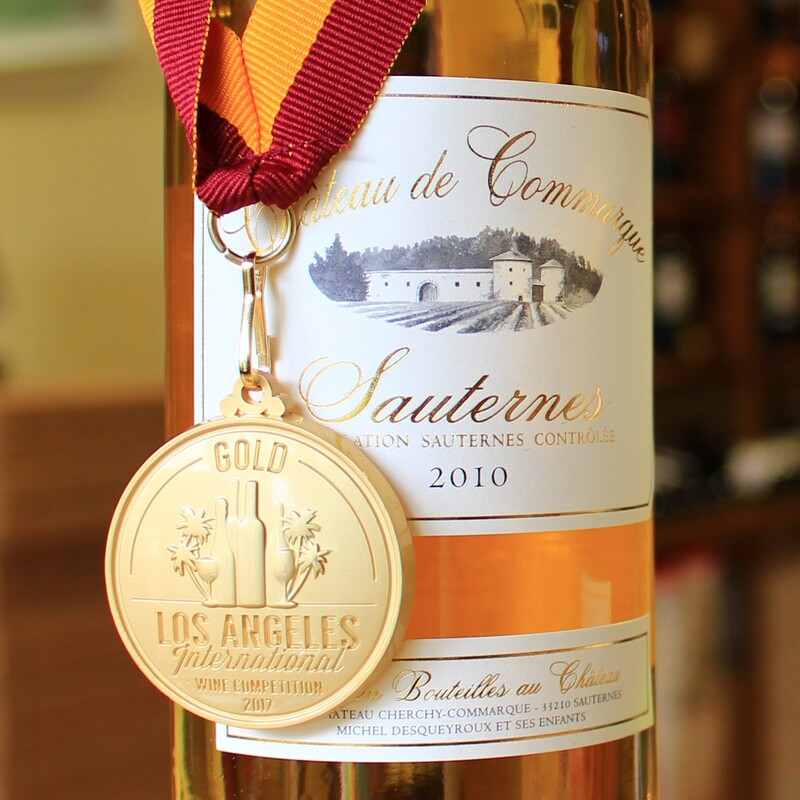 La Belle Vie Shop is fortunate to carry an exceptional Sauternes from Chateau de Commarque. 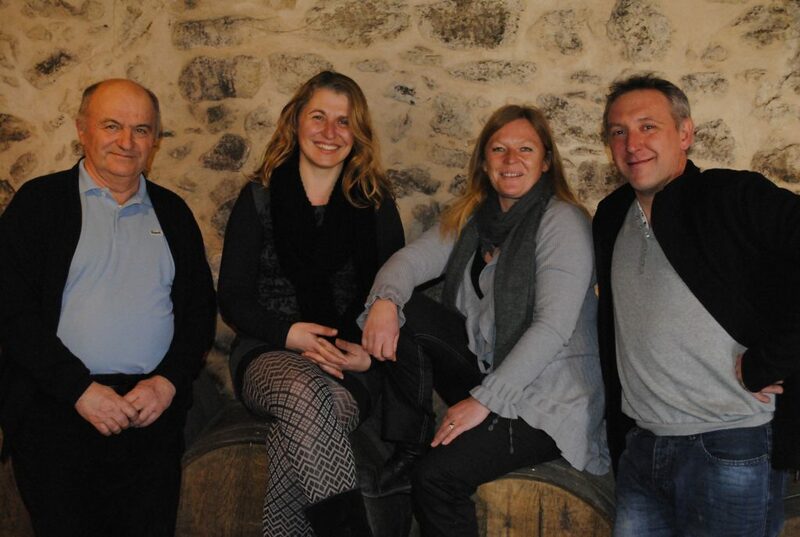 This wine is made by the Desqueyroux family, 6 generations of wine makers. It is comprised of 60% Semillon, 30% Sauvignon Blanc and 10% muscadelle. The soil in this region is gravel and yellow clay, allowing for proper drainage and retention of heat. The family engages in sustainable family, hand picking the grapes as they become “ripe” with noble rot. It is then fermented in stainless steel vats. This wine won 93 points at the Los Angeles International Wine Competition in 2017. French wine is made to be enjoyed with food. It speaks to how they value time with friends and family, relishing in a long meal that allows everyone to spend time together. Unfortunately, here in the U.S., most of us eat our food on the run, or in front of the TV or in some other distracted way. But at the holidays, we come together to really enjoy our friends and family over a shared meal. End that meal with something special: a delightfully cold Sauternes. It can be enjoyed alone or paired with some cheese or fruit. 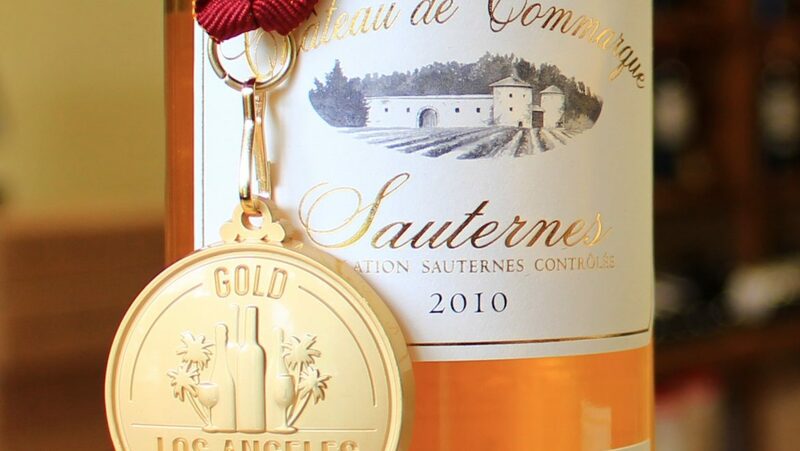 The 2010 Sauternes from Chateau de Commarque is fresh and elegant with white flowers, juicy pear, candied orange and cinnamon. It is a dynamic but smooth wine, that is lighter than a traditional Sauternes. Trust me, your guests will be WOW’d by this wine.